After the Olympic Games in 1984 which were hosted in L.A., SureFire built off of their success of providing laser sights for guns and developed a novel idea for the time; a weapon-mounted flashlight.Today, Surefire LLC produces everything from traditional flashlights and weapon lamps to tactical equipment such as high-capacity magazines. Furthermore, they make a number of products which are specifically designed for particular industries. For example, consider the SureFire HL 1 Tactical helmet Flashlight which is designed for military personal. No matter what product you are considering to purchase, you can rest assured that it is made with quality and reliability in mind. These are not ‘cheap’ illumination devices by any means as these products are designed to last and withstand extreme conditions. The Surefire G2X is similar to the P2X fury in that it is a dual-output tactical flashlight offering two very different light settings in an extremely well-made flashlight. Using a high-efficiency LED flashlight, the G2X is virtually immune to failure as there is no filament or bulb to burn out or break. 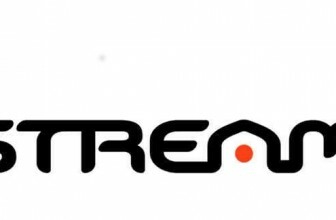 This is important as the flashlight will last virtually forever as all SureFire products are made with the utmost quality in the USA. The G2X features two very different setting making it the perfect flashlight for general everyday use. The low setting provides a healthy 15 lumens which is great for short to medium distances while providing up 45 hours of life per battery set. This is fantastic for outdoor enthusiasts who want to carry a reliable light source which is both compact and extremely reliable. The high setting offers an extremely bright 320-lumen beam with plenty of peripheral light. It’s obviously not as bright as the P2X fury but it definitely provides enough light outside of extreme cases. On this setting, you will still be offered 2.5 hours of runtime compares to 1.5 hours on the P2X. The G2X is also one of the more affordable options available on the SureFire line. For well under $100, the reliability and performance of the G2X can be yours. 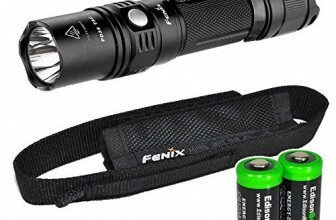 It very well could be the last flashlight you’ll ever need to buy. An unbelievably bright weapon light, the X300 Ultra will leave intruders blinded and overwhelmed. Generating 500 lumens of stunning white light, this particular model is one of the stronger lights on the market. Using a Total Internal Reflection lens, the beam is extremely tight and focuses on an extended reach. It even has a healthy amount of bleed to provide some peripheral vision as well. Compatible with both handguns and long-barreled guns, it will quickly and easily attach with Picatinny or Universal rails. If need be, there are also adapter mounts available for several non-railed handguns. Depending on the type of gun you have the X300 Ultra mounted on will ultimately determine the type of activation switch you use. For pistols, it features a one-finger control- presses the switch on either side for a momentary activation of flip up or down for continued activation. On longer guns, the X300 Ultra is pressure activated allowing optimal control without altering your grip. Quality is never something you need to be suspect of with SureFire products. Not only is this product extremely light weighing only 4.0 ounces with batteries, it is also extremely durable. Made with an anodized aluminum exterior, you won’t need to worry about the X300 ultra fracturing or suffering scratches. Plus the O-ring surrounding the rear of the light will ensure the flashlight is gasket sealed to make it weatherproof in all circumstances. Because this particular light is so bright, you’re only going to get about 1.5 hours of light per set of batteries. Although that might not seem like a lot, rechargeable batteries are definitely an option and the chances are, you will not need to have the light activated for extensive time periods. the M600 Ultra Scout is a high-intensity Weaponlight designed to fit rifles, carbines, or submachine guns with a Picatinny rail on the forend. Featuring 500 lumens of light output, the M600 will blind and leave intruders overwhelmed when the beam comes in contact with their eyes. 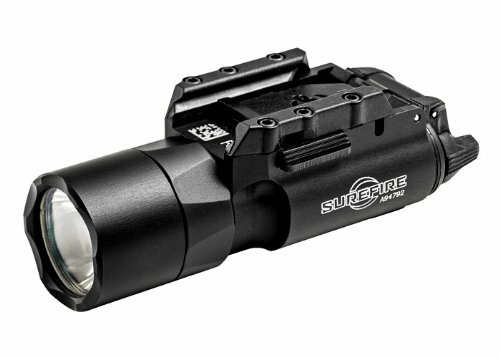 Using SureFire’s Total Internal Reflection lens, the far-reaching beam provides an intense 13,000-candela tight beam with a fantastic peripheral bleed of illumination making it ideal for close and long range situations. Offering two different types of switches, users can decide the best way to activate the flashlight given their weapon. One option is the pushbutton tailcap switch: press for momentary light or press further for constant light. The second option is a 7-inch momentary cable switch that attaches directly to you via a self-stick backing. Extremely lightweight weighing only 5.6 ounces with batteries, it won’t weigh down the barrel of your weapon. Plus with its robust construction, featuring anodized aerospace aluminum and coated tempered glass for maximum light transmission, you won’t have to worry about any fracturing or scratching. Great in all climates and weather, it also features a tight-fitting o-ring to prevent any moisture from getting inside the flashlight. This is a fantastic device for longer barreled weapons. Although it is slightly more expensive than other options, no other company produces their components to the same quality as SureFire. Purchasing a Surefire M600 Ultra Scout is an investment which will not disappoint. 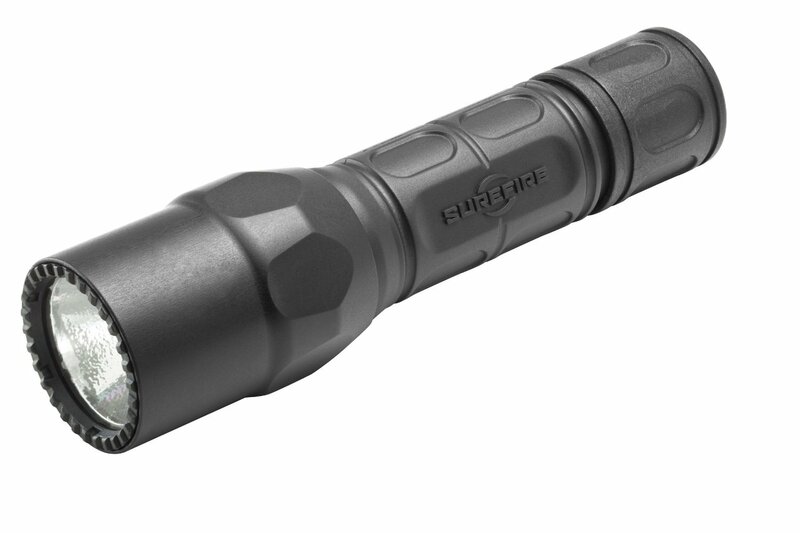 Aside from some of the best tactical flashlights on the market, SureFire also produces some of the finest quality tactical pens on the market as well. If you aren’t familiar with a tactical pen, they are essentially indestructible pens offering multiple functions. Primarily tactical pens are designed to be used as an all-weather/situation writing tool. It could be snowing and 20 degrees Fahrenheit yet the best tactical pens will perform in any situation. The ruggedness of a tactical pen is also designed to protect you in a self-defense situation. 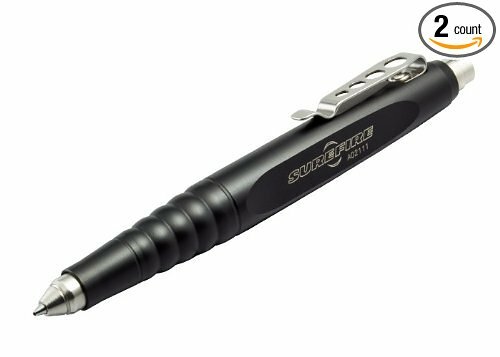 In the case of the SureFire Pen II, it’s made of aerospace-grade aluminum offering the holder a sturdy 5-inch flesh piercing tool. With a sharp narrow tip, it is sure to do some damage in the hopefully rare case you’ll need to use it. Aside from piercing flesh, the SureFire pen II can be used to break glass in the case of an emergency. Because of its tough exterior, you won’t need to worry about breaking the pen when contacting a hard surface like glass. A great tool to carry with you on the inside of your coat, tactical pens are refillable and a fantastic self-defense tool.